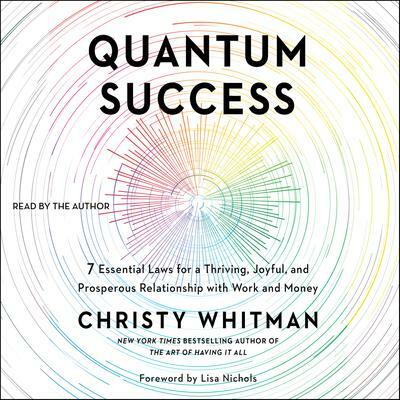 Christy Whitman is an in-demand life coach, transformational leader, CEO, and founder of the Quantum Success Coaching Academy, a twelve-month Law of Attraction coaching certification program. She has helped thousands of women and men around the world achieve their goals through her empowerment seminars, speeches, and coaching sessions and products. Her life-changing message reaches over 80,000 people a month, and she has been quoted in Seventeen, Woman’s World, Woman’s Day, Teen Vogue, the Star Ledger, and Knot magazine. Whitman currently lives in Montreal with her husband Frederic and their two boys, Alexander and Maxim.